Unless you’ve been living under a rock, you’ve no doubt heard that coloring is making a huge comeback in the adult world. No longer are crayons and colored pencils solely the instrument of the elementary school artist — professionals and parents from all walks of life are realizing the benefits of sitting down with a good old fashioned coloring book. But coloring is more than just a hobby or way to spend a Sunday afternoon, it can actually benefit your life in a variety of ways. Let’s be serious: Everyone has something major looming over their head at some point in their lives that they wish would just go away. While coloring won’t simply make your problems disappear, it will certainly put them on hold for the time being. Famed psychotherapist Carl Jung recommended coloring mandalas to his patients, as he believed they represent the “inner process by which individuals grow toward fulfilling their potential for wholeness.” Even though coloring has only recently made a comeback in the adult world, art has been used therapeutically for centuries. As the new fad becomes increasingly popular, more and more people are having parties centered around the art of coloring. As it’s not an incredibly exhausting activity, it can be done while conversing with friends and taking sips of your favorite adult beverage. Even though everyone at the get-together works on their own picture, everyone feels as if they are working together on a single, much larger project. Like I said, coloring isn’t exactly a strenuous activity. 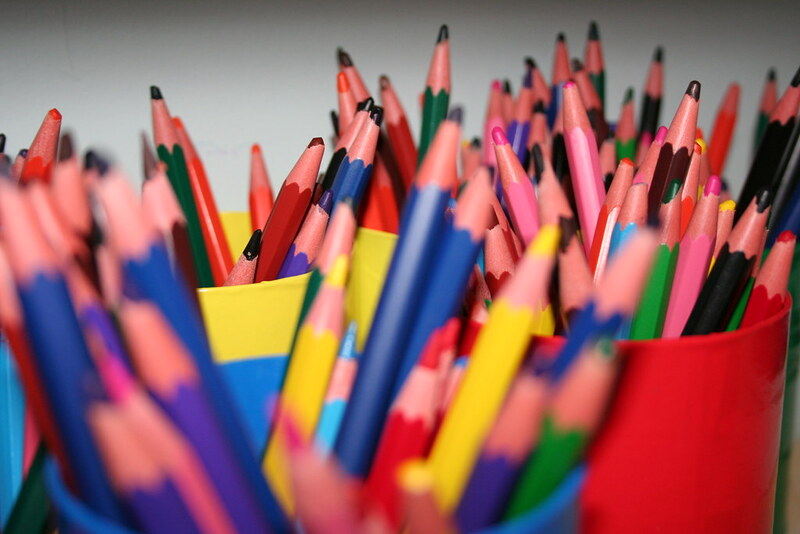 With a crayon or colored pencil in hand, it’s easy to let all your cares and worries drift away. Not only is coloring a great meditative activity that rests the mind while engaged with a picture, but it’s also been shown to reduce a person’s overall stress levels. It also reduces a person’s overreaction to stressful situations in the future. Even though coloring isn’t an incredibly demanding activity, it still requires your focus and attention while engaged with a picture. Ironically, because you become so focused on the task at hand, you actually are able to drift away even more. All outside factors take a backseat to the task at hand, which is creating a beautiful piece of artwork. It’s also a great way to escape the business of daily life, things like ringing cell phones and blaring television sets. Coloring is an individual activity, but it’s also a great way to express yourself. Whether you realize it or not, when you color, you create something that was not there before using only the powers of your own mind. No other person would have used the exact same colors or the exact same technique as you had when you sat down to color in that previously blank piece of paper. Your creation is an extension of your mind and body, which, when you think about it like that, is incredibly profound. Like I said, coloring requires focus and attention. But while focusing on the paper mentally, you also have to use your sense of sight in conjunction with your fine motor skills. Doing so allows both hemispheres of your brain to communicate, making connections that strengthen a variety of abilities within your mind. In fact, it’s been posited that coloring may delay, and perhaps even prevent, dementia in the elderly. While everything else on this list is pretty profound and relates directly to your emotional, social, and mental health, it’s definitely worth noting that when you color, you create beautiful artwork that should be displayed proudly. I don’t just mean you should put it on the fridge as a tongue-in-cheek nod to your childhood, either. There’s no reason you shouldn’t display your artwork on your walls to add to the beauty of your home. You can even frame your best work if you want to make it look more professional. Like I said, your work is incredibly unique: flaunt it as best you can!